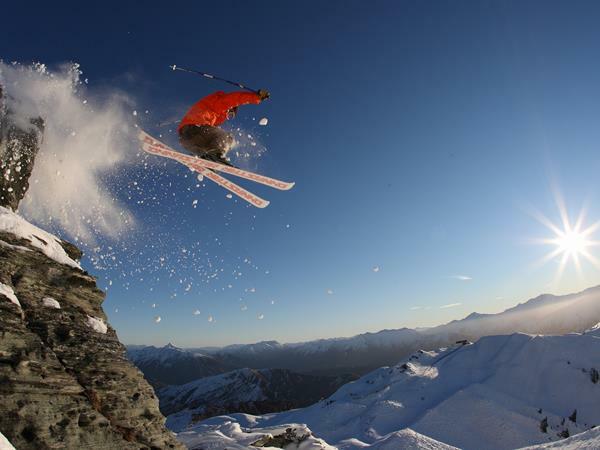 Coronet Peak Ski Field has 280 skiable hectares accessed by a six-seater express chair, an express quad, a double chair, a T-bar, magic carpet and beginner tow. Extensive, state-of-the-art snowmaking ensures a long season while stunning views of the lake and mountains add to the casually sophisticated ambience. Onsen Hot Pools, located just across from the hotel, provide indoor/outdoor pools for guests to enjoy some relaxation either during the day overlooking the Shotover Canyons or at night gazing up at the stars. Shotover River Jet, provides an adrenaline rush for all ages as the jet boats maneuver at high speeds through the canyons on the Shotover River. The boat drivers also enjoy pumping your adrenaline by sending the boats into 360º turns between the canyons. Golf Courses including Arrowtown Golf Club, Jacks Point, Kelvin Heights and Millbrook are located within convenient distance to Swiss-Belresort Coronet Peak. Each provides golf clubs for hire, so there is no need to travel with your own.